Jack is the winner of the 2009/10 PIOS and is also the new English Amatuer Champion and we’re hoping that his good form continues. I was 7 when I got my first table, but I probably started playing when I was 5. I didn’t have a table then, I would lie on the floor hitting golf balls and ping pong balls with a pool cue. I was fascinated by watching snooker on television and I particularly remember one match between Mark Williams and Ken Doherty which got me hooked on the game. I wanted to join a snooker club and my dad said I could, on condition that I read Danny The Champion Of The World by Roald Dahl. I don’t know if that was because he thought it would help my snooker or whether he just wanted me to finish my reading first! I then joined Westgate Snooker Club in Gloucester, at the age of 8. Did this give you a taste for competition at an early age? Yes it did. I started to play in the handicap competition every Saturday and I won it soon after I joined – it was a big deal for me, I had become the youngest winner ever. I started to receive coaching from Nick Pearce, a former professional, and he gave me a lot of encouragement to carry on and try and improve my game. I continued to improve and I made my first 100 break at the age of 10, while playing Nick. What was your best early success? The first big tournament I went in was the Pontins Star Of The Future tournament in 2002 and I won, beating Michael White in the final 2-1, winning the deciding frame on the black ball. In the same month I won the English Under-13 title, beating Liam Highfield in the final. When I was 13 I took apart in the European Under-19 tournament in Riga, Latvia. I lost in the quarter-final. How did your improving snooker affect your schooling? At the age of 16 I passed 9 GCSEs but I decided to leave school at this point and concentrate on my goal of becoming a professional player. However it was around this time that I became ill – I was diagnosed with Hodgkin’s Lymphoma. This led me to take a year out from snooker (and life in general!) The following year I was well enough to start playing again and rejoined the PIOS tour. I reached the final of the second event I played, which was a big achievement for me to have improved so much after taking so much time away from competitive playing. It gave me a lot of confidence for the following season – 2009/10. Do you feel you came back from your break a better player and stronger person? Yes I did. I played in all eight events in the 2009/10 PIOS tour and I won 2 events – the first and last ones. I also reached 2 semi-finals and I ended up with the highest points total in the five-year history of the competition. At the end of the 2009/10 I also won the English Amateur Championship. My highest break in practice is 147 which I have half a dozen times. 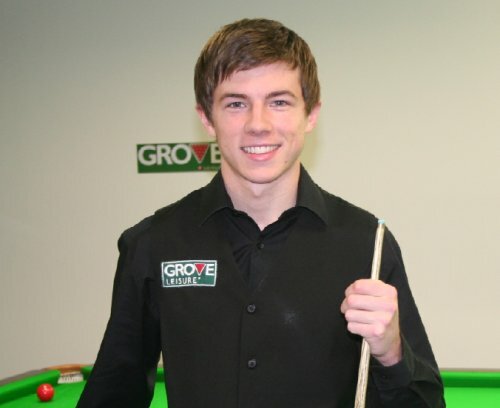 The most recent was while playing Ding Junhui in Sheffield, while breaking in a new cue. 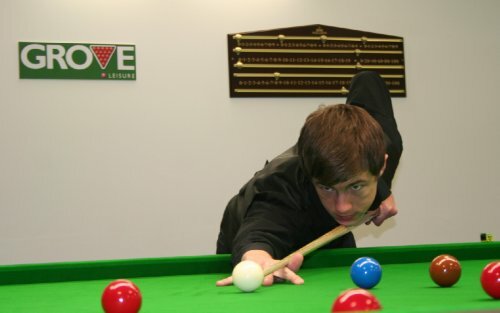 In competition my highest break is 143 which I achieved during an English U-21 ranking tournament in 2009. Are you enjoying life away from home? I’m currently sharing a house with Judd Trump. We’re good friends, as Judd comes from Bristol and I’ve seen almost every weekend for years at one junior tournament or other, as he’s just a couple of years older than me. I’m now living and practising in Romford and I have to admit I prefer it to Sheffield. There’s a definite buzz being nearer to London and Romford is a vibrant town. I hope the change of scenery will help me have an explosive start to my professional career!